Travis Hudson is an applied and research geologist with 40 years of diverse experience studying Earth and its relation to people. While completing graduate school at Stanford University, he began his career as a research geologist with the U.S. Geological Survey in Alaska. His regional understanding of Alaska was put to good use when he became a mineral explorationist for a private company. He subsequently served as a research director for an oil company, studying regional tectonics and basin evolution, and as an exploration manager on Alaskaâ€™s North Slope, where he helped discover several oil fields. As his company had inherited significant environmental problems from its mining division, environmental remediation technology became his next focus. While managing environmental cleanups at mining-related sites, he studied environmental laws and standards, worked with regulators, and took on many community education responsibilities. Since 1996 Travis has been a consulting research geologist for the U.S. Geological Survey studying crustal character in Alaska; a field geologist exploring for mineral deposits in Alaska; and the Director of Environmental Affairs for the American Geological Institute (AGI). 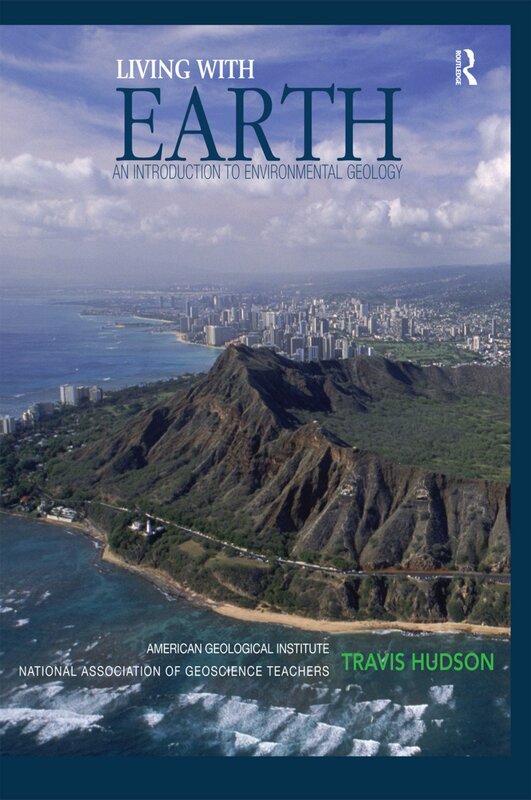 At AGI he coordinated the development and publication of the Environmental Awareness Series, richly illustrated 64-page books designed to educate citizens and policy-makers about the insights that Earth Science can contribute to our understanding of environmental issues. He is the author of Metal Mining and the Environment in that series, as well as many scientific contributions. Travis lives with his wife Patti in Sitka, Alaska. When he is not writing or working in the field he is often fishing on the Kenai, staking out his claim to a niche at the top of the food chain alongside the local bears.The American Geological Institute is a nonprofit federation of 46 geoscientific and professional associations that represents more than 120,000 geologists, geophysicists, and other Earth scientists. Founded in 1948, AGI provides information services to geoscientists, serves as a voice for shared interests in the profession, plays a major role in the strengthening of Earth Science education, and strives to increase public awareness of the vital role the geosciences play in societyâ€™s use of resources and interaction with the environment. The AGI, through its broad connections with the professional Earth Science community, assembled a panel of experts to advise on the technical content of Living with Earth and review its development. The expert panel members are active scientists with long research careers in the subjects covered by the textbook. Their participation has helped ensure that the scientific content of Living with Earth is complete, current, and accurate.The National Association of Geoscience Teachers was established in 1938 to foster improvement in the teaching of Earth Sciences at all levels of formal and informal instruction, to emphasize the cultural significance of the Earth Sciences, and to distribute knowledge of this field to the general public. Members of NAGT who serve on the advisory board of Living with Earth are Earth Science and environmental geology teachers. These teachers helped to define the scope of the book and establish pedagogic guidelines for its development, provided consultation during its creation, and reviewed text materials. The many lessons from their classroom experiences have enriched Living with Earth in a variety of ways, helping it to be a more engaging and thought-provoking book.